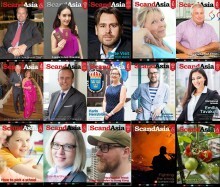 ScandAsia - the news operation that has served Danes, Swedes, Norwegians and Finns living i Asia for free since 1993 - now appeals to its readers to buy a yearly subscription to the magazine for a small fee. The paper magazine will only be distributed for free to subscribers living in Thailand or Singapore. Your ScandAsia Singapore April 2014 magazine is here! Your ScandAsia Thailand April 2014 magazine is here! Mattias Malmstrom, the new CEO of Mynewsdesk AB in Stockholm, met with Scand-Media Corp., Ltd.'s CEO and founder Gregers Moller during a regional consultation with Mynewsdesk resellers in Asia held in Singapore at Mynewsdesk's regional Headquarters at NHST Media Groups's offices on Clark Quay on Monday 18 January 2016. ScandMedia's webshop www.scandshop.in.th has sold Danish and Swedish aquavit briskly in November and December this year. For the Nordic expats in Thailand, it is not really Christmas without a few "snaps" or "nuppar". ScandShop.in.th has now got a few bottles of fresh supply - Gammel Dansk, Skaane Akvavit and Aalborg Jubilaeum - after having been sold out dry for several weeks. 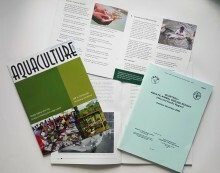 A snaps most be chased down..
NACA - Network of Aquaculture Centres in Asia-Pacific - and Scand-Media Corp., Ltd. have been working together for 12 years with Scand-Media delivering all material that NACA needs in print. This year, 2015, the NACA reached a total of 1 million Thai Baht in payments to Scand-Media over the combined period of cooperation. Scandinavian Publishing joined on 3 June 2015 a networking event in Singapore with Julia Tan, Team Leader for Mynewsdesk Asia, and agents from Japan, Indonesia, Taiwan, Thailand and Singapore. From Thailand, the participants were Gregers Moller, ScandMedia's founder and CEO; Finn Balslev, Scandinavian Publishing's Marketing Director and Mynewsdesk Thailand representative Joakim Persson. Scand-Media has set up a new website. 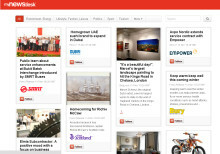 It is based on WordPress and a theme from www.slocumthemes.com. 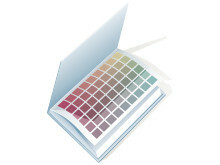 For years, the site reflected our ability to create e-books and the e-book is still displayed on the page, but as more and more visitors open the website in their mobile phone, it had become obsolete. ​Scand-Media group staff celebrated on Friday 10 April the Thai Songkran tradition. 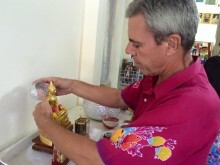 Founder and CEO Gregers Moller gave the company Buddha statue its yearly wash down with scented water. Then one by one the staff poured water over his hands wishing him well in the new year. In return, the CEO said a few personal words to each member of the staff and put gently a bit of powder on both their cheeks. 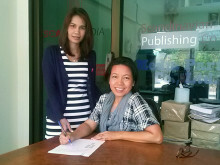 Disraporn Yatprom, MD of Scandinavian Publishing Co., Ltd. (right) and Aticha Kommales, CFO of the company, on 23 January 2015 signed the long term rental contract for the newly finished building that will open on 1 February 2015 as BareFeet Naturist Resort - the first of this kind in Bangkok. Scandinavian Publishing Co., Ltd. will remain the owner of the property. 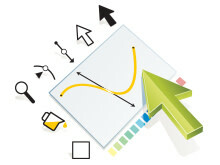 ​Content Marketing: Blogging to Promote Your Business! Blogging has become the number #1 method that businesses and organizations are using to publish marketing content. But the process can be very time consuming and you never know if you will appear high enough in the result list when customers search for your products or services on Google, Bing or Yahoo. 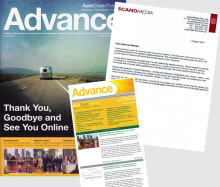 What you need is Mynewsdesk, represented in Thailand by Scandinavian Publishing Co., Ltd.
Thai-Australian Chamber of Commerce has dropped printing the member magazine Advance. From now on, all communication with the members will be online and via emails. Scandinavian Publishing Co., Ltd. - who has for the past ten years been selling advertisements and producing the layout and printing of the magazine - believes the move as doing irreparable damage to the member relationship. 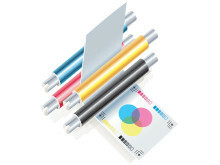 Email communication with the Austcham members will from now on replace the printed magazine. Scand-Media staff and construction workers building the first naturist resort in Bangkok on a piece of land owned by Scand-Media in the Ramintra area of Bangkok celebrated together a traditional Nordic topping out ceremony on Friday 12 September 2014. The Barefeet Naturist Resort Bangkok will offer a secure environment for a clothes free lifestyle for both Thai and foreign guests. Construction workers at the lunch after the topping out ceremony. 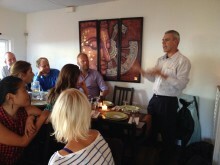 Eighteen Danish journalists joined the third Bangkok Dinner arranged by Scand-Media to keep in touch with former staff of the company. 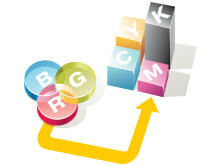 Most of the journalists are former Danish trainees of the company located in Bangkok, Thailand. The dinner takes place in Copenhagen every second year. Next Bangkok Dinner is Saturday 28 August 2016. 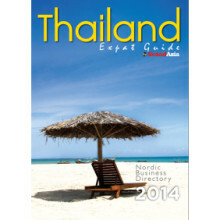 Thailand Expat Guide 2014 the new edition of the popular guide to living in Thailand. It helps both newcomers and longer term residents from Sweden, Denmark, Norway and Finland who have decided to live and work in Thailand. We are looking for you to replace one of our Graphic Designers who by the end of this month will resign after many good years here. 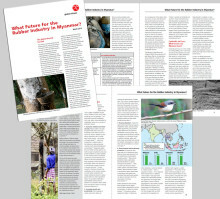 It was "Mission Impossible” when Scand-Media manged to repair an incomplete pre-press file in Burmese language where the font was missing, re-size the embedded photos, find a suitable recycled paper, print the job and finally deliver it to a hotel in down-town Yangon, the capital of Burma/Myanmar – two days prior to the planned schedule! The steel reinforcement structure is placed symbolically in the hole where the pillar will be raised.